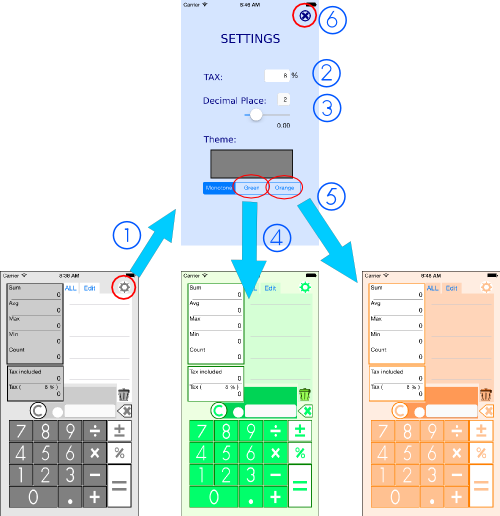 iStatCalc is a simple and easy-to-use calculator! 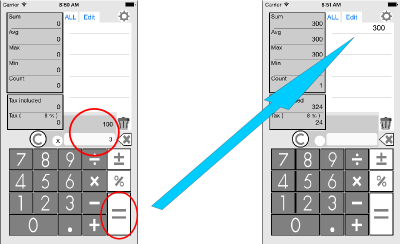 You can simply add a number in a list by pressing “=” button, and / or a number is listed as calculation result. 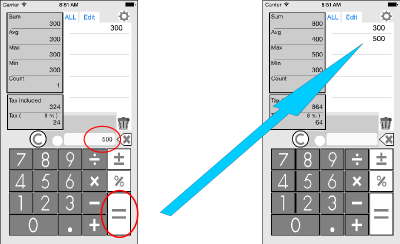 Simultaneously, it displays “summation”, “average”, “maximum”, “minimum”, and “count” of these numbers in the list. 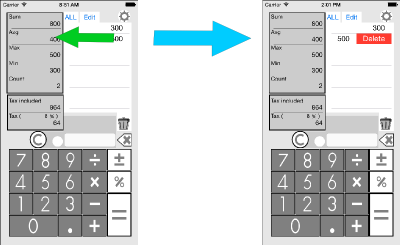 Because a number is listed as entered or calculated, you can keep track of what has been added and you can even go back and access to each number for modification or deletion. There are also three different types of themes available - Monotone, Green, and Orange! You can choose the theme you wish to see depending on the mood that you are in. on the setting icon located on right upper corner of the main screen. ③ “Decimal Place” - moving the slider to adjust between 0 ～ 11. ⑥ Touching on the closing icon saves the settings and closes the screen. is added to the list. 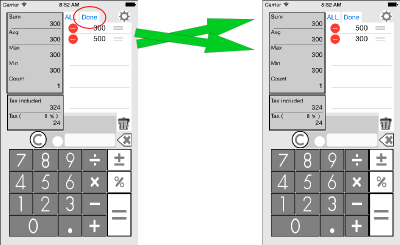 3) "Directly add a number to the list"
(Sum, Avg, Max, Min, Count, …) automatically from the numbers listed. right next to the number when it is in “edit” mode. 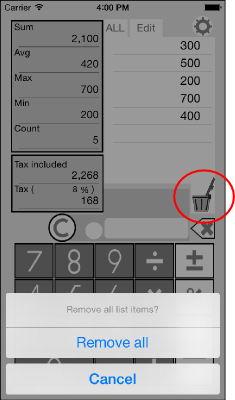 In order to clear the number(s) in the list, touch on the trash icon. A number in the list can be modified by using a long press on the number. 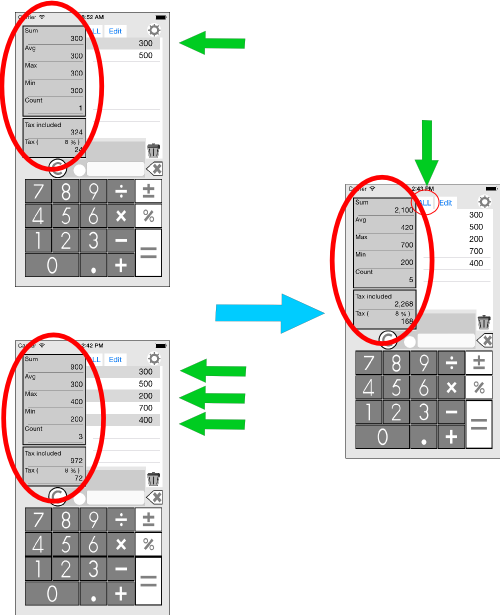 touching on “=“ puts the modified number back to where it is located. 10) "Utilize a number in the list"
1) Enter the first operand, and followed by an operator (÷, x, -, +). → This number is used as the second operand for this calculation. 3) Touching on “=“ button to add this result to the list as a new entry. © 2014 CLStyle All rights reserved.